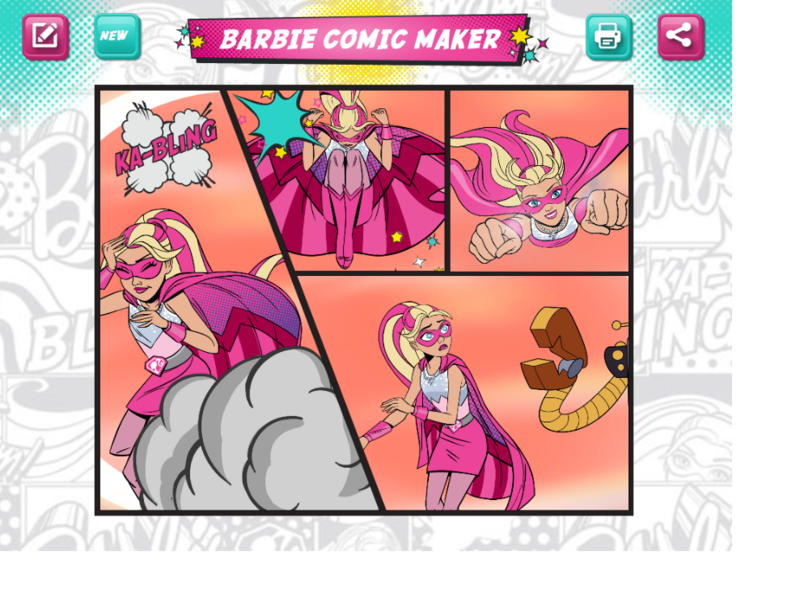 Barbie Comic Maker lets fans create their own awesome custom Barbie comics. 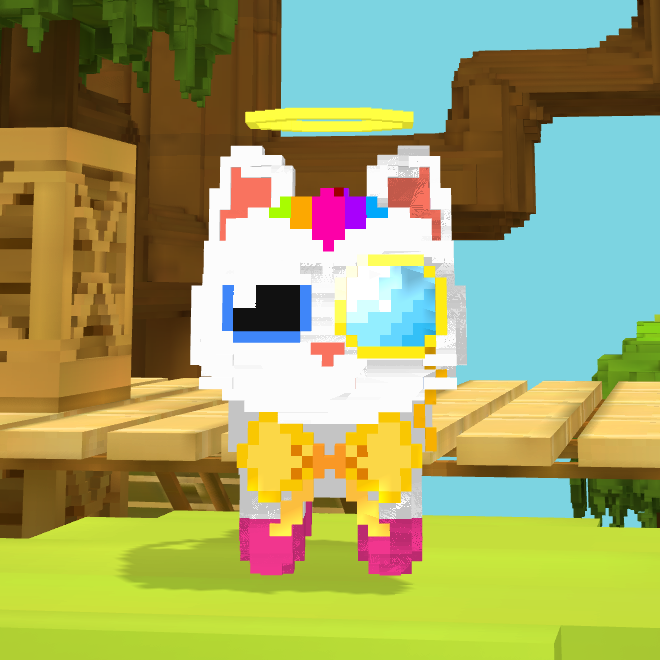 Create your comic using dozens of super assets including Super Sparkle and friends. 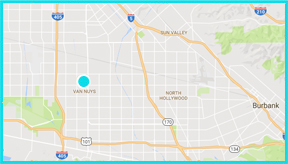 Set your scene with over two dozen comic strip layouts. 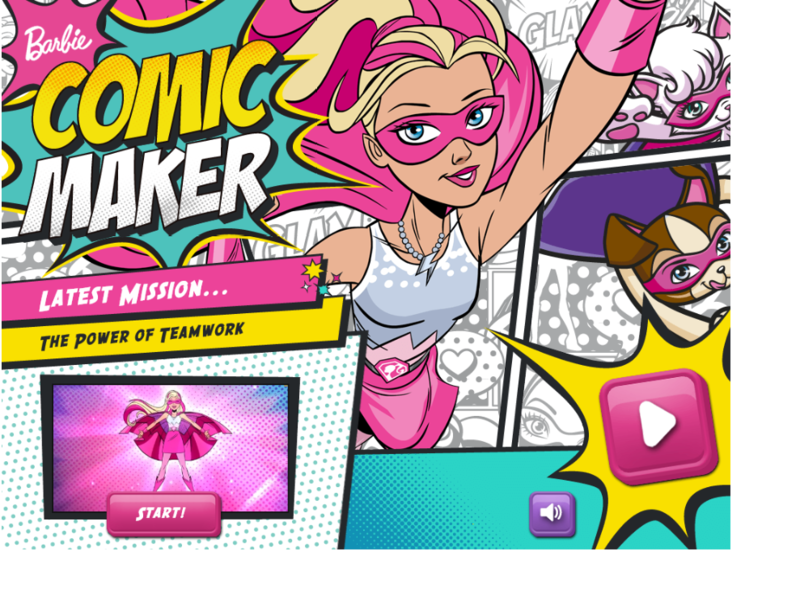 Create your own comic from scratch or choose from one of Super Sparke’s story missons!